Home > What we do > Health and Wellbeing > Back Onside > Why get Back Onside? Sport England’s research shows that a third of people in lower paid and routine jobs are inactive, meaning they do less than 30 minutes of exercise that gets them slightly out of breath each week. Inactivity in people in lower paid, routine jobs is twice that of people on a high income in senior and managerial roles. Rugby League clubs operate within the heart of their local communities, many of which show statistically higher than average levels of physical inactivity, especially in men. Because of this, Rugby League has an opportunity to directly reach men who have previously been disengaged with physical activity and offer a unique programme to change the behaviour of men in Rugby League communities towards physical activity. 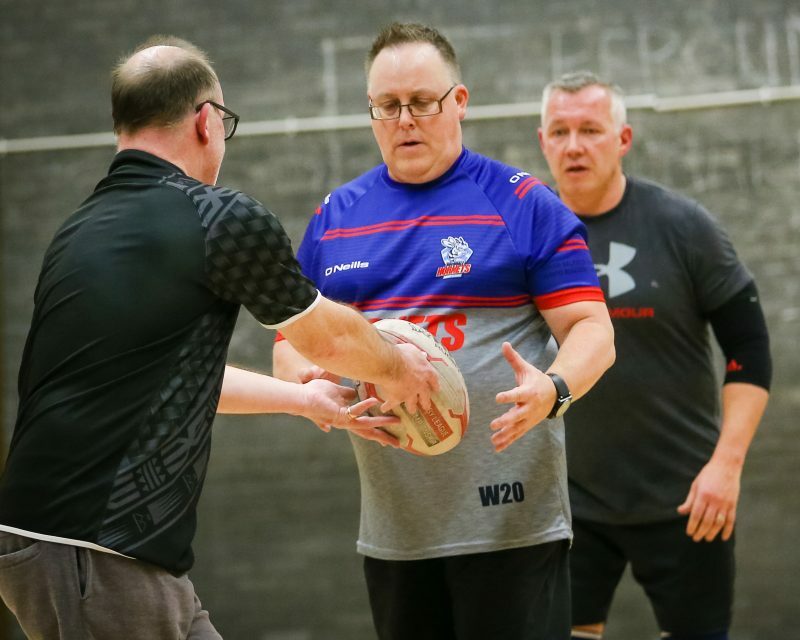 Sport England Executive Director, Mike Diaper, said: “Rugby League has a strong track record of working with their local communities and we’re very excited by how this project will make a positive difference to people’s lives. 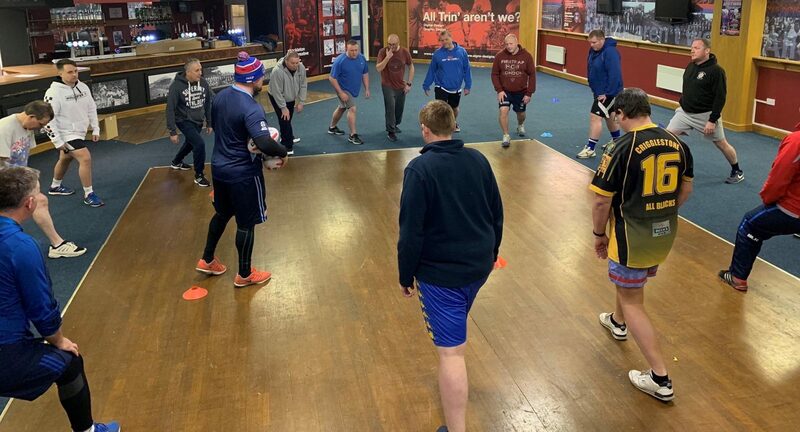 Chris Rostron, the Head of Rugby League Cares, said: “Back Onside is a brilliant way for men to rediscover the benefits of exercise in a safe and familiar environment, and with expert help from experienced Rugby League professionals. “We all lead busy lives with work and family commitments and it’s often the case that men struggle to find the time or the inclination to exercise regularly. “Once you stop doing something you enjoy, it can be hard to find the motivation to start again, which leads to many men missing out on the health benefits that come from being active.